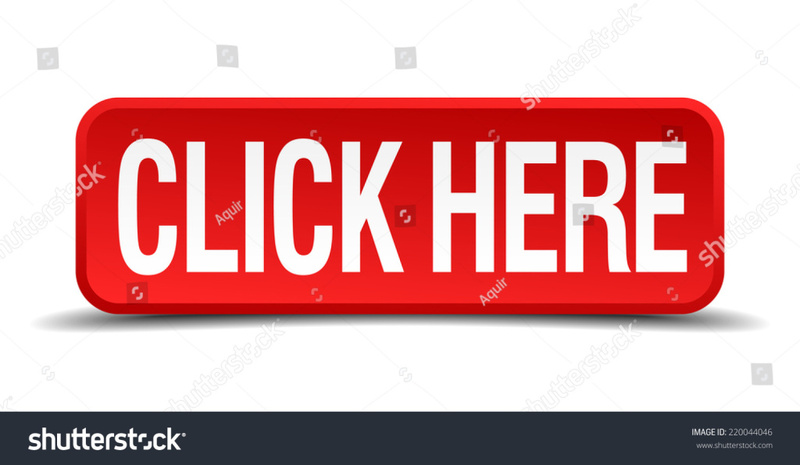 to print W.C. PRE-REGISTRATION for school year 2018-2019.
for rates and payments for school year 2018-2019.
for new policy for monthly payments. 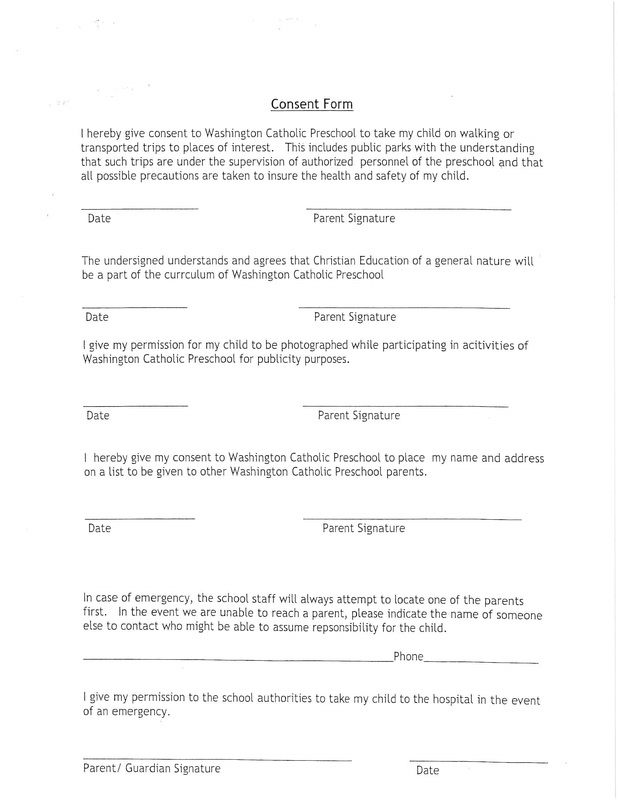 for Consent Form for fields trips, photographs & emergency contact. 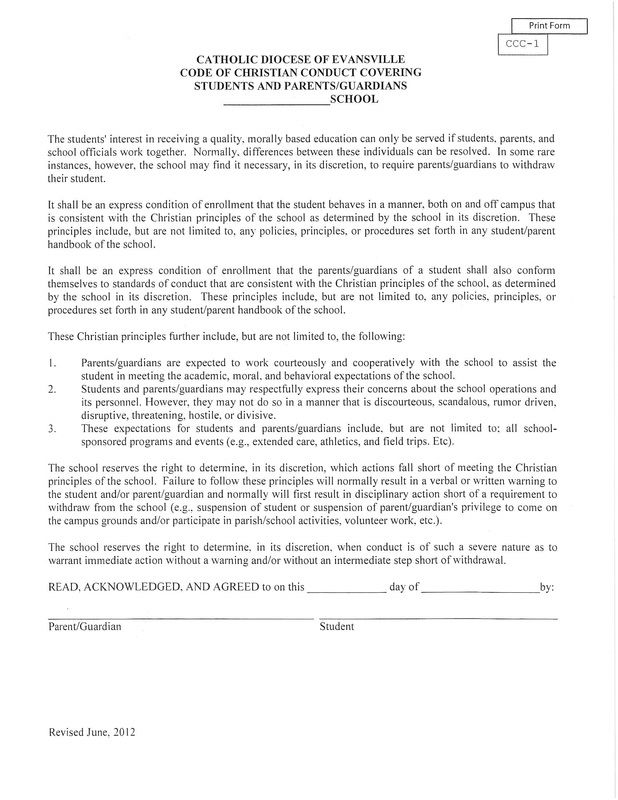 for Catholic Diocese of Evansville Code of Christian Conduct. 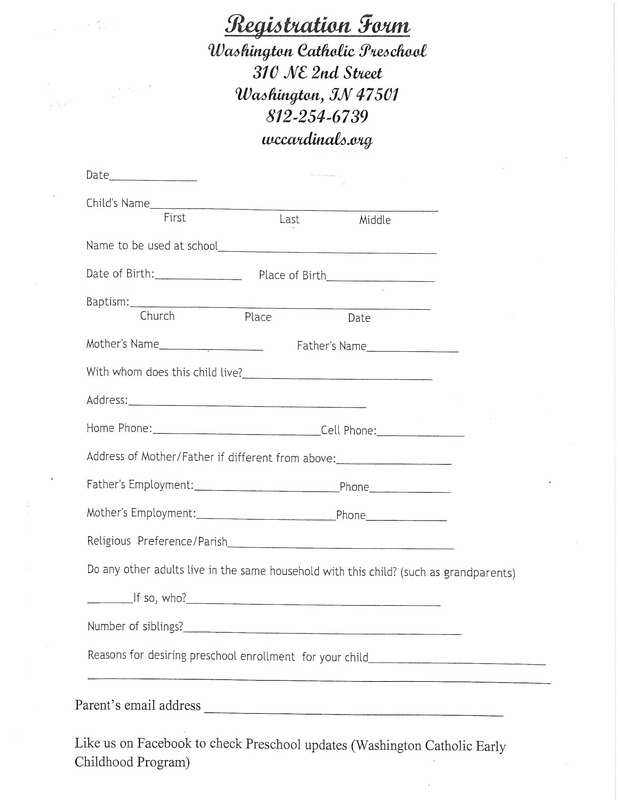 Please return all forms to the W.C. PreSchool Office for the school year 2018-2019. Thank you! The child's life in preschool/daycare is primarily a life of guided play. With a child, play is a great avenue for learning. The spontaneous energy, curiosity, and inventiveness of young children are sources from which a lifetime of learning can develop. Learning at this age consists of learning to think magically, make friends, follow rules, be independent, socialize, but mainly learning to use one's body and senses. Little children must see, touch, and experience. At WC Preschool the children participate in many "Hands-on" activities. Learning is interesting and fun while also establishing self-esteem. 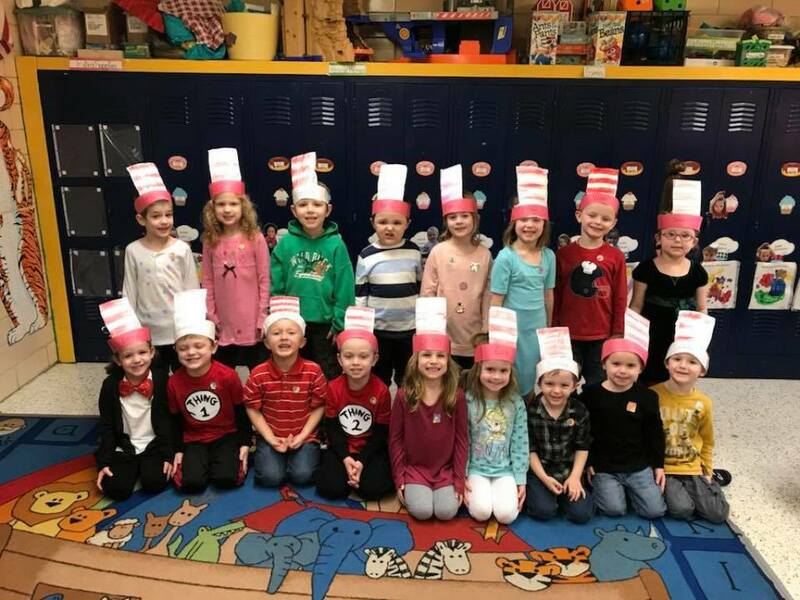 Preschool is a very important part of a child's life. Young children learn best through play. Using all their sense, they eagerly explore the world around them. Work and play are not separate activities to children whether they are playing "house", "space", or "school". Children are always stretching their knowledge of the world and themselves and building a can-do attitude toward learning. The children celebrate the milestones of learning and kindergarten prep. The teachers prepare not only the 4-5 classes but the 3-4 classes with a skill set to prepare them for building a strong foundation. We teach Tucker Sign-language, letter recognition, number recognition, computation, public speaking, social studies, and science to name a few areas. 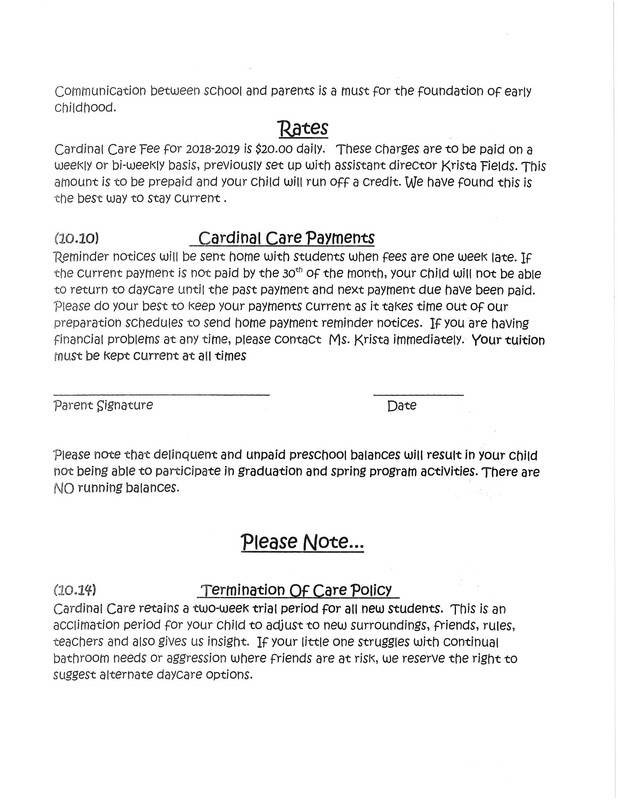 This program was designed by the teachers who currently teach kindergarten at WC. We feel this gives a great insight to the major areas of focus for learning. As teachers and daycare providers, we strive to communicate to our young children the high regard that we hold for learning. Young children have an extraordinary antenna for picking up on what adults value and cherish. 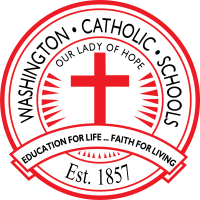 We, at Washington Catholic Early Childhood Development Program intend to make learning interesting and fun while establishing confidence with Christian morals and values. 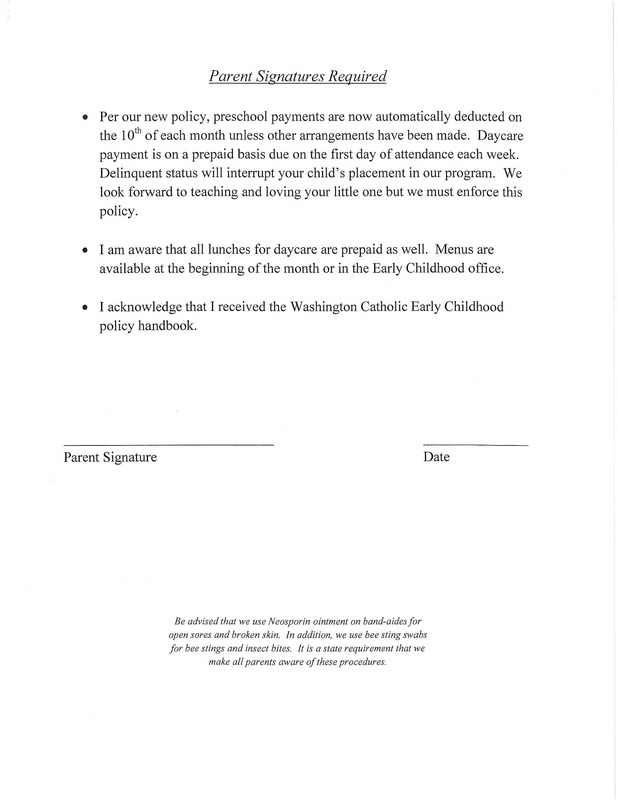 Thank you for your interest in Washington Catholic Early Childhood Program!